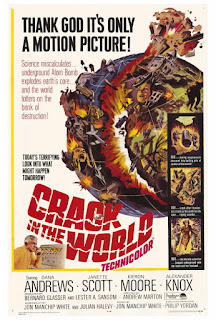 A good old-fashioned doomsday science fiction film, Crack in the World’s title tells the prospective viewer the danger to be faced. A rather timely plot, considering the world we live in now, it is about a team of researchers trying to harness the power of magma at the Earth’s core to produce clean and cheap energy for all mankind. Though their motives are undeniably noble, their methods, proposed by the leading scientist (Dana Andrews), may prove hazardous. 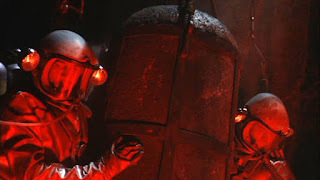 It involves detonating a nuclear bomb against the last layer holding back the magma. That can’t be bad, right? Andrews’s young colleague (Kieron Moore) thinks it will be. 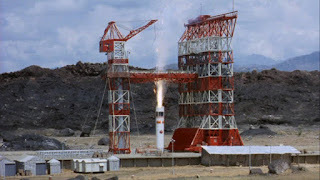 By today’s standards, when every disaster movie has to be an epic, spanning the globe and destroying all the famous landmarks on the planet, Crack in the World is modest. It is not helped by the acting, which is only mediocre - even Andrews’s skills seem to have diminished since the peak of his popularity - and the script. 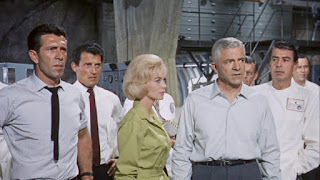 This features such episodes as Andrews’s wife (Janette Scott) - and object of Moore’s affections - explaining for two minutes what a doctor has told her about her husband’s health, only to have Moore ask, “What did the doctor say?” Andrews suffers from radiation poisoning, to the point where one hand is bandaged, the other gloved, his eyes covered by dark glasses and an arm is in a sling - but his condition comes as a surprise to others when it is revealed. However, Crack in the World is more enjoyable than otherwise. 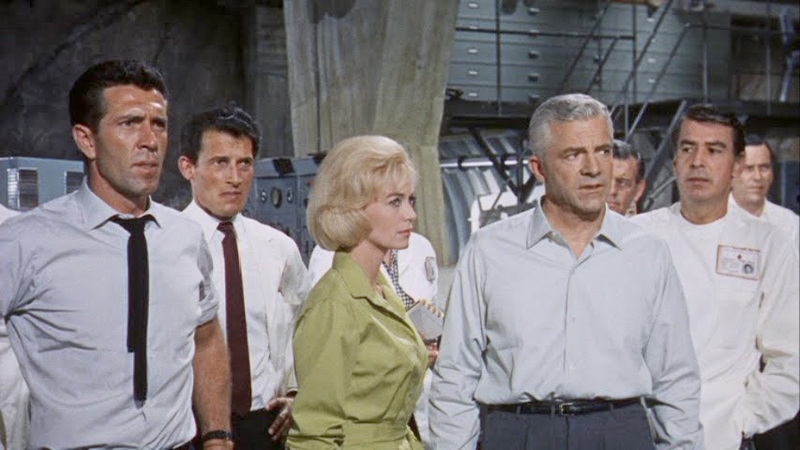 The plot, while not real science, is logical within the context of the film, and though the special effects are dated, they are nonetheless fun and exciting - the destruction wrought in the climax is non-stop. 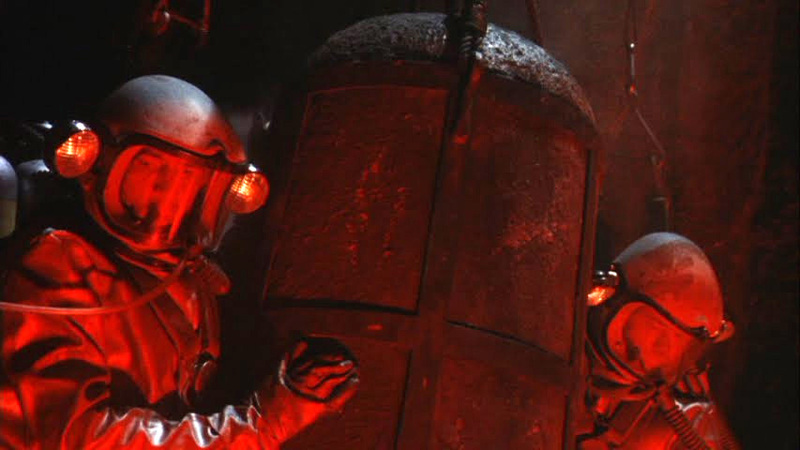 There is an attempt to man-handle an atomic bomb into a live volcano - that’s right - a voyage to the bottom of the sea (not that one, another one) and a race to find out just what path catastrophe is going to take next. The production values are wisely husbanded for the finale, and then cut loose with the fire and brimstone. This aspect of the film is due principally, I think, to the direction, which is of a higher level than other ingredients. Andrew Marton directed mainly low-budget films previous to this one, with second unit credits on bigger projects. He seems to have done yeoman service throughout his career, competent, supporting work; the directorial equivalent to a character actor. He is an asset to Crack in the World. 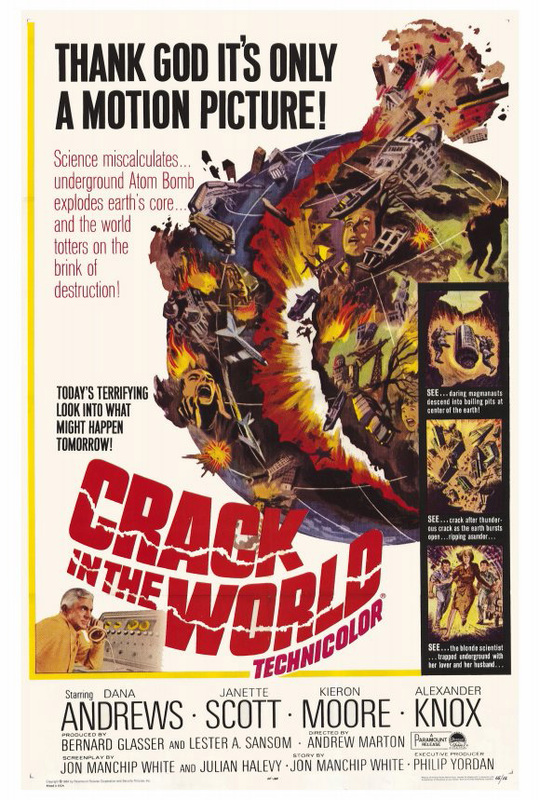 So, while not first-rate, Crack in the World is an entertaining disaster movie. It takes a while to get going but succeeds when it needs to. Dumping a nuclear bomb into a live volcano.